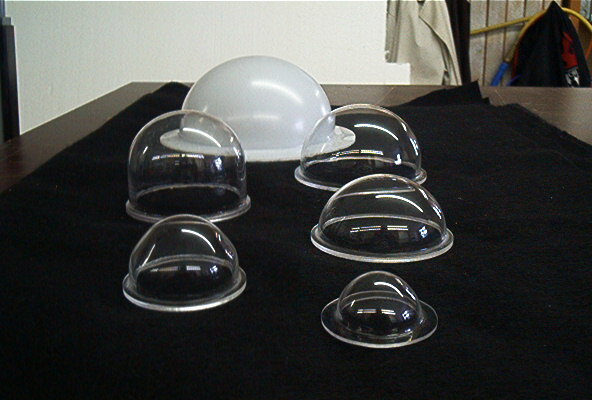 Our domes are the highest quality domes, made in at our facility in Orlando, FL on highly automated equipment employing the best thermoforming technology and the best raw materials available. Because we manufacture our domes in the Orlando, FL, we can even make custom domes on demand for older systems or for any other application requiring a dome. We manufacture the domes as you order them & we offer a wide variety of options as you can see below to make sure you receive the perfect product. With several size options & material choices, we always request you submit the form below & we will contact you to confirm your purchase.